After pushing out a major update for their SwiftKey app, the folks behind the mobile keyboard are now releasing another update that adds a few improvements that should make it easier for users to take advantage of some of the benefits it has to offer. As the title says, the latest version of SwiftKey for Android improves the ability to share your location with others. You'll notice that you can now quickly insert the address of your current location and then share it with family and friends. There's a catch though, as developers announced this specific new feature is only available in the United States and India. Also, they don't say when and if it will be rolled out in other countries. Next, the update makes it easier to share calendar event directly from the keyboard. 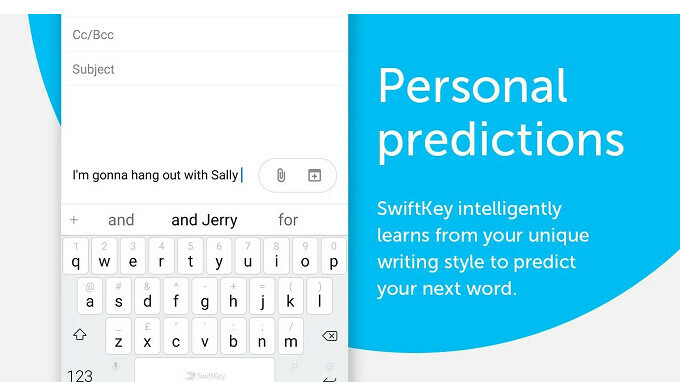 Last but not least, a new gesture is now available to SwiftKey users on Android, which will allow them to delete Double-Word predictions using long press. Why on earth would you want this feature from a KEYBOARD? Utterly unnecessary feature bloat. They should spend their time fixing the ridiculous auto correct predictions that are to TOO (why does it just use to or too depending on which you fixed the last time?) often produced. I'm so tired of everything only being available in the US. There are other apps to do this if it is what you want to do.